The importance of learning the arts can neither be denied nor ignored and it is for this reason that eminent educationalists, scholars, thinkers and philosophers have time and again emphasised the importance of including Art Education in school curriculum. From time to time NCERT has taken initiatives to review the silt tat ion of this important area of the school curriculum and has also prepared teaching and learning materials based on research inputs, in an effort to provide a broad guideline to art teachers on how art education can become a process of joyful and experiential learning. Arts in India of its cultural diversity. An understanding of the arts of the country will give children the ability to appreciate the richness and variety of artistic traditions as well as make them liberal, creative thinkers and good citizens of the nation. Arts will enrich the lives of our citizens through their lifetime, and not merely during their school years. Art in schools is often equated with sketches of’ Disney cartoon characters such as Mickey Mouse or Donald Duck. and theatre becomes a reenactment of television soaps. Even school authorities encourage arts of this nature and lake pride in putting up such events. In a climate of ignorance and lack of awareness regarding the richness and diversity of the arts in India, we can no longer at lord to ignore the importance of the arts and must concentrate all possible energies and resources towards creating cultural and artistic awareness amongst the students of the country before we come to the sorry realisation that we arc a culturally illiterate society. The upper primary stage is the period at schooling, which requires a collective effort by students, teachers parents. school authorities and the society at large to make the foundation laid during the primary stage stronger. Updating teachers with innovative methods of teaching through different types of materials is the major concern of the Council. NCERT has already developed a Teachers’ Handbook of Art Education for Class VI in 2004 and this is the next in the series, which is for Classes VII-VIII. The Handbook has two parts, the first part consisting of’ chapters on Visual art techniques and methods and the second part has chapters on music and theatre components. All these art forms are important for the learning experience of the children. I sincerely hope, that the Handbook will be useful not only for teachers and students of classes VII-VIII but also for those with a keen interest in different art forms. This Teachers’ Handbook is meant for the art education teachers teaching at the upper primary stage in schools located in different parts of the country. This Handbook provides a guideline to the teachers on what to teach and how to teach different art forms. Each of the topics suggest activities which can be conducted by the students. Here are a few suggestions for to the art teachers on how to teach art education. The teacher has all the freedom to evolve other activities which are region specific, school specific or easy to be conducted. The teachers should try to encourage students to work in groups as far as it is possible rather than compelling them to do the activities individually. It would also be advisable for the teachers to encourage each of the students to take part in the activities to ensure maximum participation by them. In every group or the class, some of the students will always be above average in various skills and at the same time a few of them may be below average. It would be the responsibility of each art teacher to make some extra efforts with the weaker students in developing their skills or to encourage the average students to move towards excellence. The art teacher should try to interact with all the students in the class. Many of the concepts and the techniques along with their activities are either in continuation of the previous class or they are repetitive. However it is for the teacher to adopt or to adopt the activities and the teacher can also decide, which are the activities to be carried out in class VII and class VIII respectively. The handbook is divided into two Sections, Section 1 deals with the visual art forms and in the Section II performing art forms have been dealt. The first chapter deals with the elements and principles of art. The elements of art have already been discussed in the previous class (VI) but for VII-VIII classes too a reorientation of the same is required with more details and examples. In this chapter some of the principles have also been added which are essential for the children to learn at. this stage. in the second chapter, two-dimensional visual art forms and activities related to these forms have been mentioned. Similarly iii chapter three, three—dimensional art forms, such as sculptures. mobiles etc. and their activities have been described. India is a country of cultural diversity and in every part of this country, some or the other forms of handicrafts are identified with that region. Some of the handicrafts have been given in the chapter four and the methods of making them by the students have been described. The fifth chapter suggests some of the activities which may be conducted outside the classroom. Section II of the Handbook has chapters on the performing art forms which includes music and theatre. In chapter six. classification of different types of music — Hindustani music, Carnatic music, Rabindra Sangeet. regional and folk music. community singing etc. have been discussed. Chapter seven provides details about gharana systems and some of the prominent gharanas of vocal as well as instrumental music prevalent in India. In the chapter eight, different terminologies used in vocal music have been explained with examples which the teachers of music can teach the students. Chapter nine is a description of different styles of singing. The classification of musical instruments and their descript ion are elaborated in the chapters ten and eleven respectively. Some of the songs of community singing are given alongwilh the notations in chapter twelve. 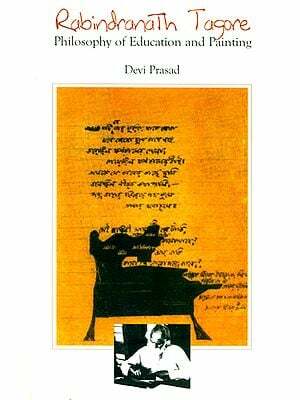 An introduction of raga and some of the ragas which may be thought to the students of classes VIl-VIll are contained in chapter thirteen. In chapter fourteen, a few of the tool arc described. The second part of the Section II on performing arts deals with the all of theatre. Chapter fifteen entitled Theatre as a Classroom Resource suggests the methods of teaching theatre to the Students of Classes VII and VIII. In chapter sixteen, role of drama in schools has been explained. Chapter seventeen has a detailed plan of activities to be conduct ed in school and it also explains the importance of drama as a tool to be practiced in teaching learning. Since the Teachers Handbook for Class VI consists of a bibliography and extensive terminologies, the teachers can refer them also from time to time.